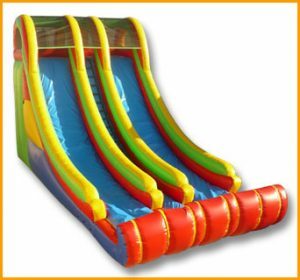 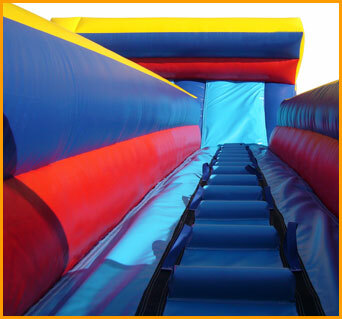 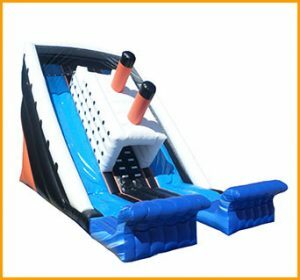 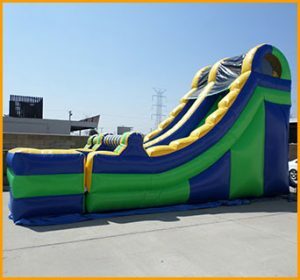 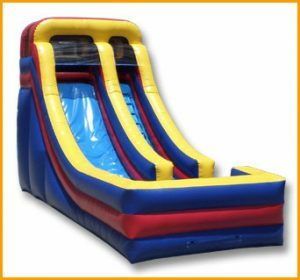 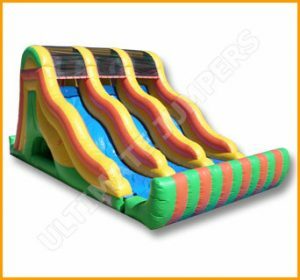 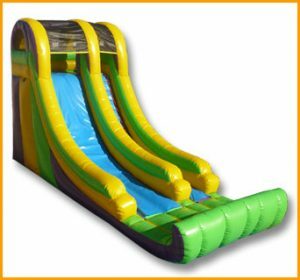 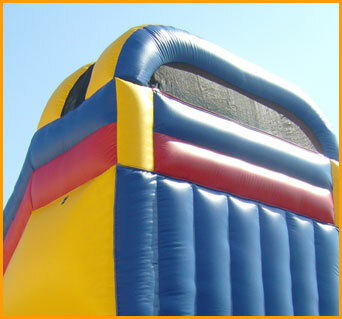 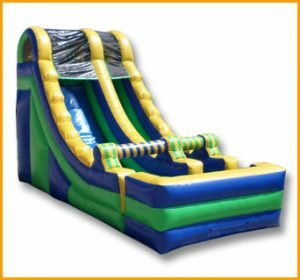 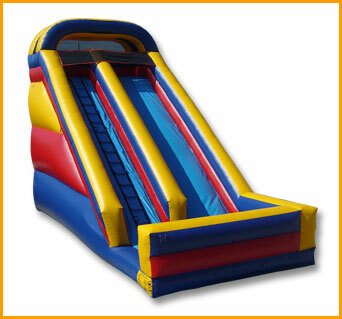 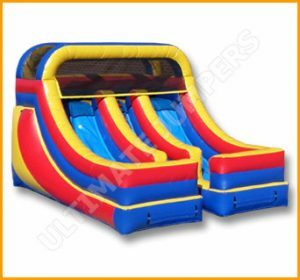 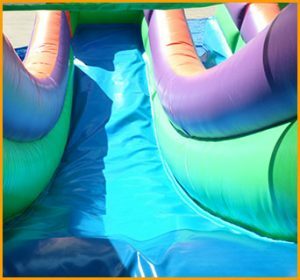 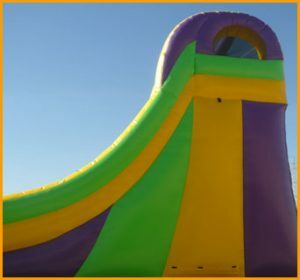 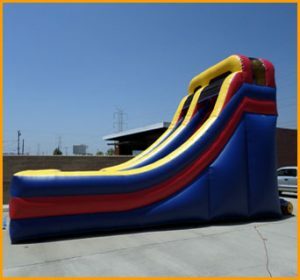 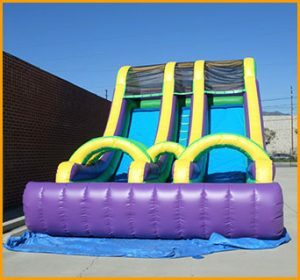 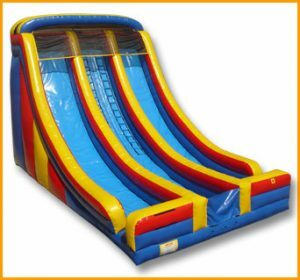 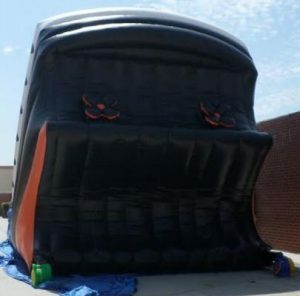 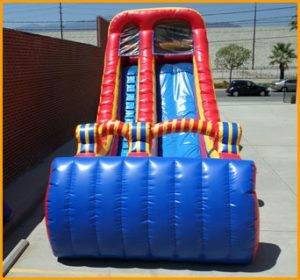 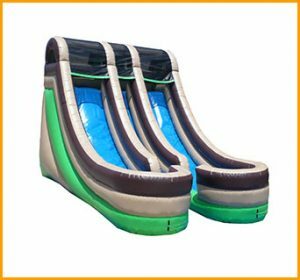 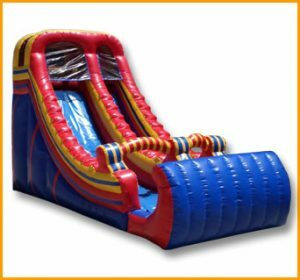 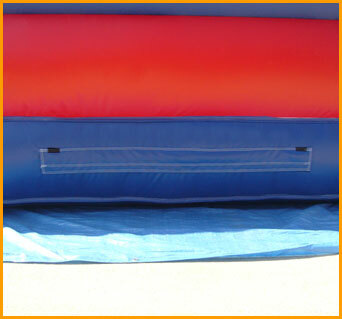 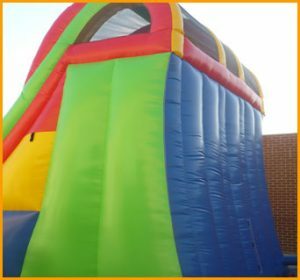 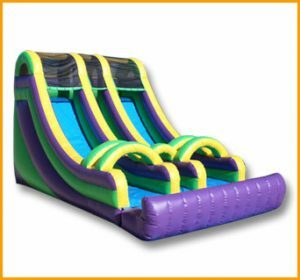 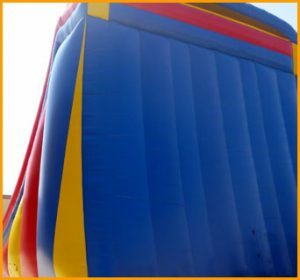 Made with bright primary colors, this giant inflatable 22′ front load double slide will be the most popular activity at any party or event. 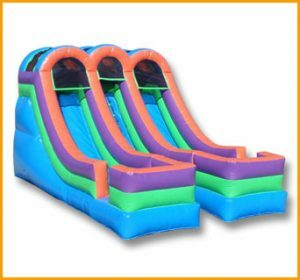 Made with bright primary colors, this giant inflatable 22′ front load double slide will be the most popular activity at any party or event. 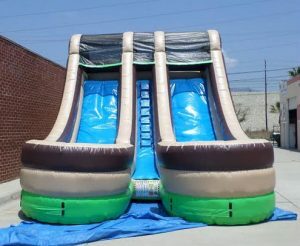 Both kids and adults alike will feel like they’re getting closer and closer to the moon and stars as they climb up this giant beauty. 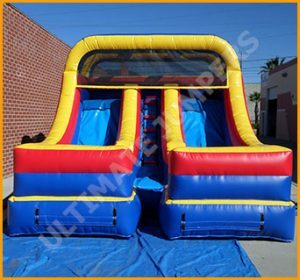 This front load double slide is made with quality materials, which will make it last for years to come. 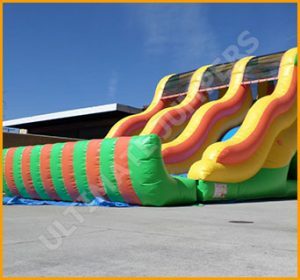 The colors of this slide can also be customized at no extra charge.